The Daisy Blossom Collection, inspired by the gerbera daisy are a popular flower used in many floral arrangements and bouquets; they come in an amazing variety of colours. Daisies in three different colours weave around the leafy pattern, embossed on this beautiful gift box. 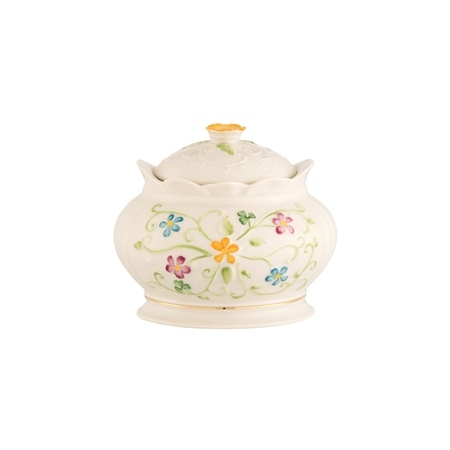 Belleek’s signature shamrocks are hand painted among the pretty daisies. With the lid included this gift box can have multible purposes, one of those being an ideal gift.